Here's my first review of shampoo after sticking to one brand for a near 6 months. Let's get back to the topic of the day, Follow Me hair care brand? 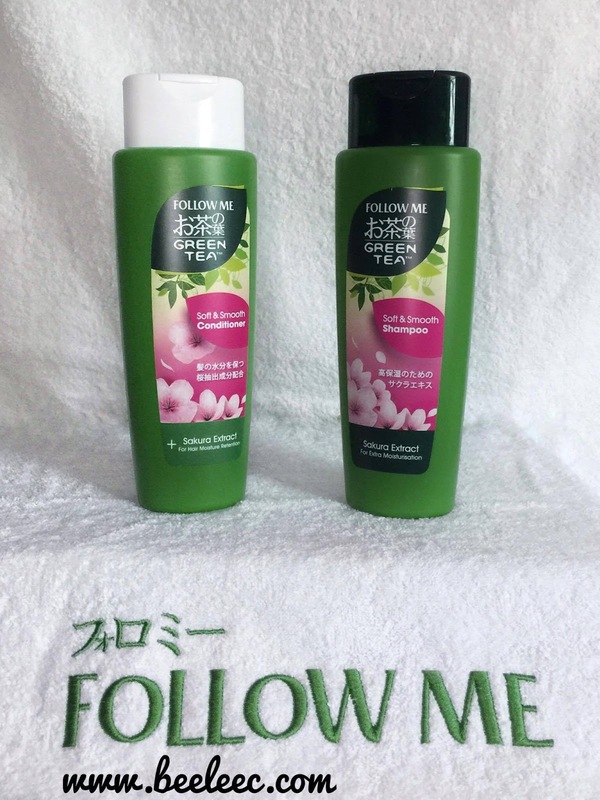 Anyone here are fans of Follow Me products? My second sis said its her first hair conditioner brand and she loves it. I personally have not been using this brand for soooooo long or never use before. Anyways, on 14th September 2017, Follow Me has just launched its reformulated Green Tea shampoo in a brand new premium packaging. I find the new packaging quite environmental friendly (just coz its GREEN in color!). However, I would personally love transparent or semi-transparent bottles coz #1 I know how much product is left & #2 they look more classy IMO. Vitamin C & E protects hair follicles giving you smooth and silky hair. 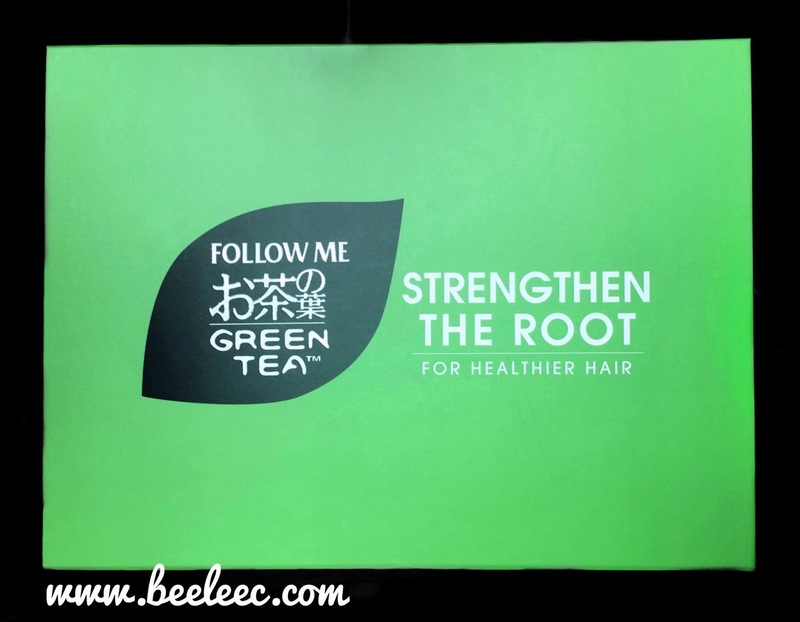 Polyphenol (a type of natural compound found in green Tea Extract) helps keep scalp healthy. Plant extracts are good sources of antioxidants that protect hair from free radicals to strengthen hair roots, promote hair growth and prevent hair thinning. I have stressed the importance of healthy, clean scalp in my last post. In our hot & humid weather, it is especially important to wash our hair regularly and correctly as it helps to prevent the accumulation of dirt, debris and sebum. Consequently, we may face issues like dandruff, oily & itchy scalp, congestion and hair thinning & the most horrendous experience would be hair fall (I am worried about this so I do take time to really clean my scalp this time ^^). Follow Me came out with 5 variants to help you tackle with the various hair issues we face everyday. I know I know, you'd wanna know how much it cost. Both the newly upgraded Green Tea Shampoo (320ml / 650ml) and hair conditioner (320ml / 650ml) retail at RM10.90 and RM18,90 respectively. They are available at all leading hypermarkets, supermarkets and selective pharmacy stores starting September 2017. [I] ...the scent of the shampoo is abit too strong for me coz I have been so used to milder scents. Scent of the conditioner is ok, nothing much to say about it. Everyone's experience after all would be different.